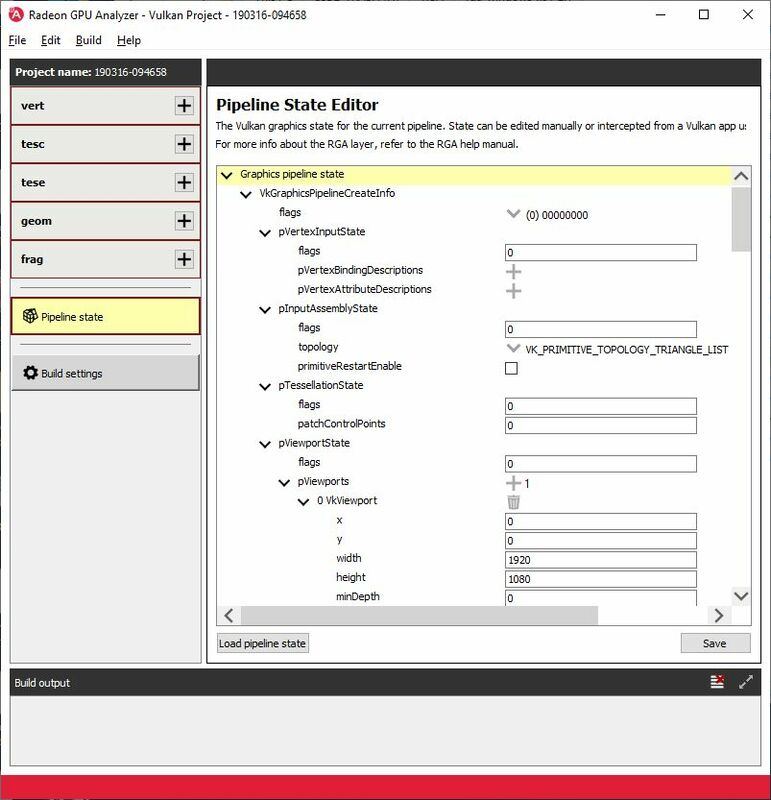 The Radeon GPU Analyzer (RGA) is an offline compiler and code analysis tool for DirectX shaders, OpenGL shaders, Vulkan shaders and OpenCL kernels. Radeon GPU Analyzer is a compiler and code analysis tool for Vulkan, DirectX, OpenGL and OpenCL. Using this product, you can compile source code for a variety of AMD GPUs and APUs, independent from the GPU/APU that is physically installed on your system, and generate GCN ISA disassembly, intermediate language disassembly, performance statistics and static analysis reports for each target platform. The RGA package contains both a GUI app and a command-line exectuable. - Offline Vulkan - Using a static compiler, accepts GLSL/SPIR-V as input. Note that the this mode is about to be removed from RGA. To ensure that the results that RGA provides are accurate and reflect the real-life case, please use the new Vulkan live driver mode (which is also supported in the GUI application).